A brand new addition to the iBreathe Ice Range, our Raspberry Mint Premium E-Liquid combines the sweet juicy flavours of raspberries with a cool breeze of mint, to deliver a light and fruity / menthol vaping experience. 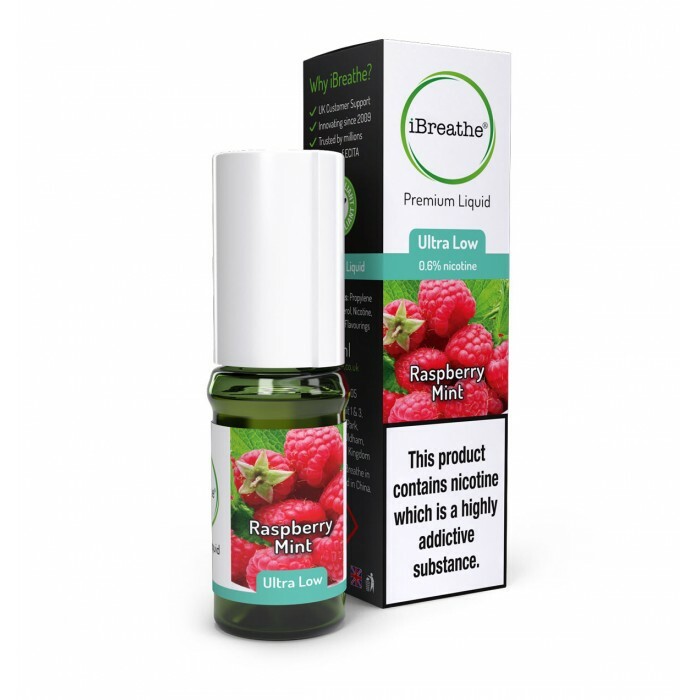 Perfect for those who are looking for a light and refreshing e-liquid for everyday use, the iBreathe Raspberry Mint premium liquid delivers a tasty blend of fruit and mint in every vape. 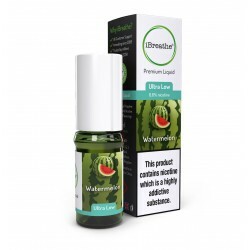 10ml High PG E-Liquid - Burst Burst is a new Premium e-liquid flavour which we expect to become v..
10ml High PG E-Liquid - Menthol One of our most popular e-liquids, the iBreathe Menthol Premium L..
10ml High PG E-Liquid - Watermelon The iBreathe Watermelon Premium E-Liquid is one of the most li..
10ml High PG E-Liquid - Strawberry & Kiwi A brand new addition to the iBreathe Cocktail Range..
10ml High PG E-Liquid - Mango Slush Our Mango Slush Premium e-liquid shows that our back-room of ..